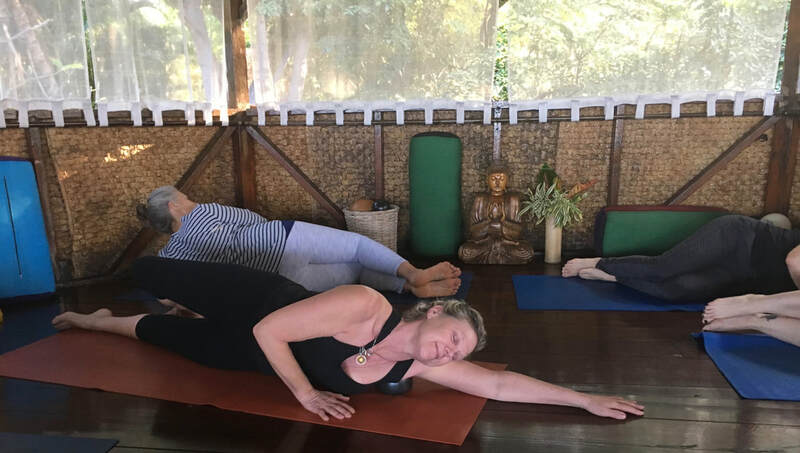 This 6 day/7 night retreat will include a daily 1.5 hour body rolling and functional movement class in the morning and a 1 hour body rolling class in the evening taught by Teresa Moorleghen. (Evening class will take place 6 of the 7 nights and morning class will be taught 6 of the seven days.) This will leave your days free to explore the island with snorkeling, hiking, whale watching from the lanai, or relaxing on the sandy beach and lava pools that will be steps from your front door. $250. non-refundable deposit is required to register. Full payment for the retreat is due on 9/1/2019. Call or text 831-239-0298 to register. Three freshly prepared meals per day. Breakfast and lunch are served as a group. Lunch is prepared as a "to go" meal so that you may plan your days freely. Group hiking and outings to incredible white sand beaches with crystal blue waters. 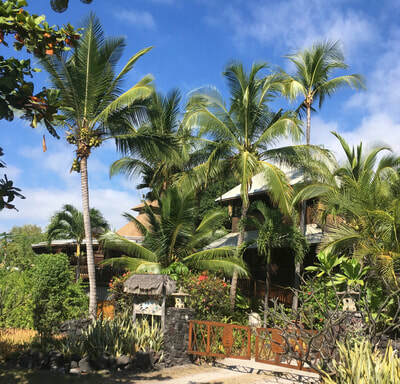 The retreat location is located about 100 feet from the beach with excellent snorkeling. Nearby locations include Honaunau, Captain Cook, Keakekekua, and Kailua-Kona. Hale Kai is located 28 miles south of the Kona airport. Use the Kona airport. You are also welcome to spend your time lounging on the lanai at this beautiful eco-house. Contact Teresa directly to arrange for airport transportation if needed. Airport rides are provided with certain flight times. Discuss this with Teresa to make arrangements to make sure your arrival and departure times align with group schedule. Flights that arrive after check-in or before check-out times may need other arrangements. Follow this link or call Teresa at 831-239-0298 for more information about this unique retreat center. There are shared rooms for individuals. Couples may arrange to have their own private rooms. Each room has its own bathroom and solar shower. Additionally, there is one outdoor shower heated by a water heater that all are welcome to use. Important Note:​ This is an eco-retreat center. There is solar power and wireless on during the daylight hours. Although the surroundings are positively artful and stunning, it is rustic. The rooms are screened in -- versus walled in. This creates a unique opportunity to smell the fragrant air and listen to the soothing sounds of the ocean inside of your own room. 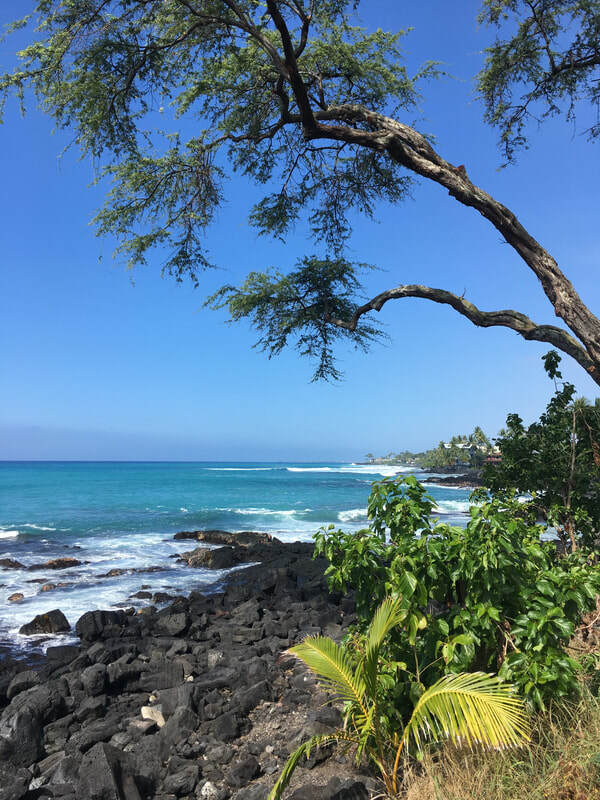 This is a rare opportunity to experience Hawaii very close to nature while being surrounded by creature comforts such as comfy couches, a clean atmosphere, and delicious food. 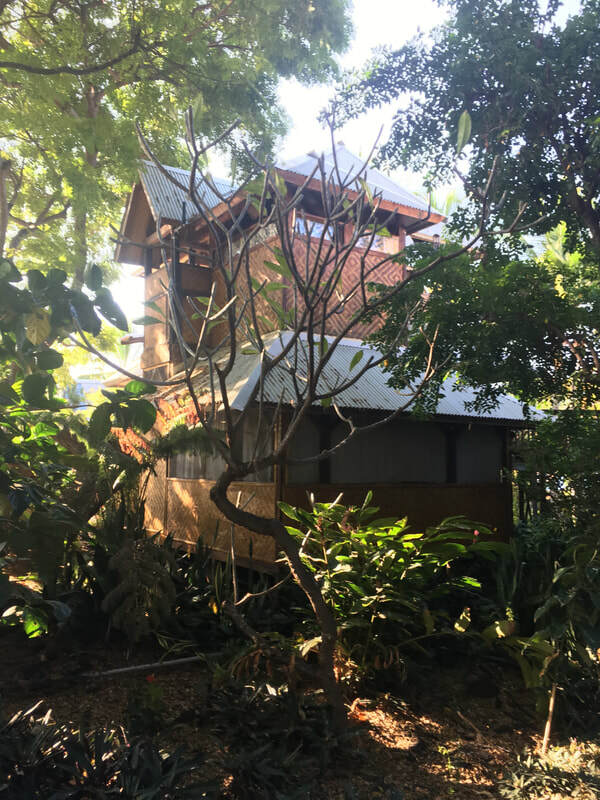 Often times guests choose to spend most of their time on the island at the retreat center itself versus venturing too far from Hale Kai. Check in time is 4pm. Check out is 11:00am. Please call, 831-239-0298 or email educatedbodyretreats@gmail.com if you have any questions. For additional information about Hale Kai as a retreat center, click here.